All INWOOD ESTATES homes currently listed for sale in San Antonio as of 04/26/2019 are shown below. You can change the search criteria at any time by pressing the 'Change Search' button below. 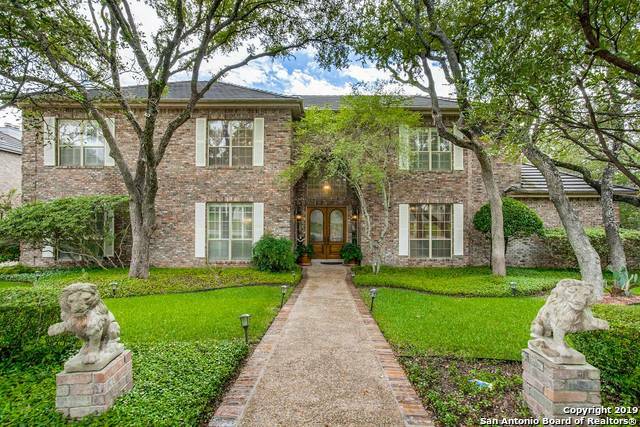 "Incredible Inwood Estates! Off Bitters and 1604. Minutes from La Cantera and I-10. Gated. Guarded. Immaculate! Understated elegance yet oh so comfortable! Hardwood floors. Spacious open light-filled kitchen. Kitchen Aide Appliances added 11/9/18. 3 Living areas. Updated baths. Attention to detail. Outdoor kitchen. Pool half bath and outdoor shower. Spacious covered patio overlooking the pool, waterfall, spa. Mature tree shaded yard. Recognized Northside Schools. Come home to Estates of Aspen Cr"
"Beautiful custom built Robert Weiss home on greenbelt lot. Wood floors. Living w/views of pool. Family rm w/judges paneling, built-ins & fireplace. Spacious kitchen w/granite counters, abundant cabinetry & built-in buffet. Master down w/fireplace & French doors to backyard. Secondary bdroom down w/full bath. Game rm w/wet bar & three guest rooms each w/built-in desk upstairs. Covered patio/deck looks out to in ground pool/spa & private backyard. Mature trees & landscaping. 3 car side entry garag"